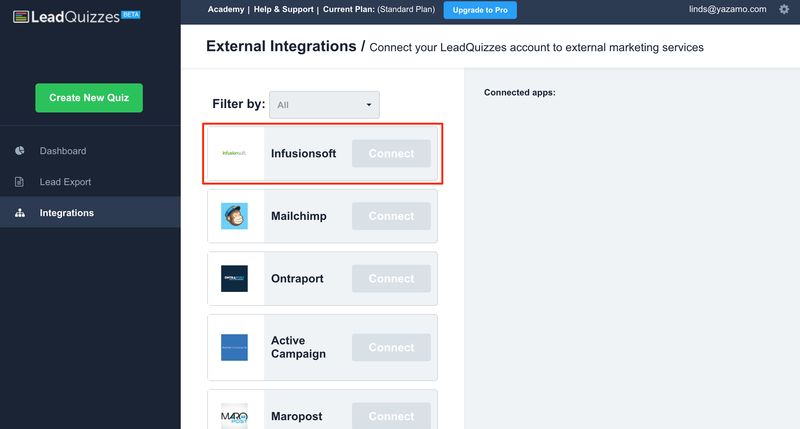 How Can I Connect My Infusionsoft Account To LeadQuizzes And Segment My Leads? 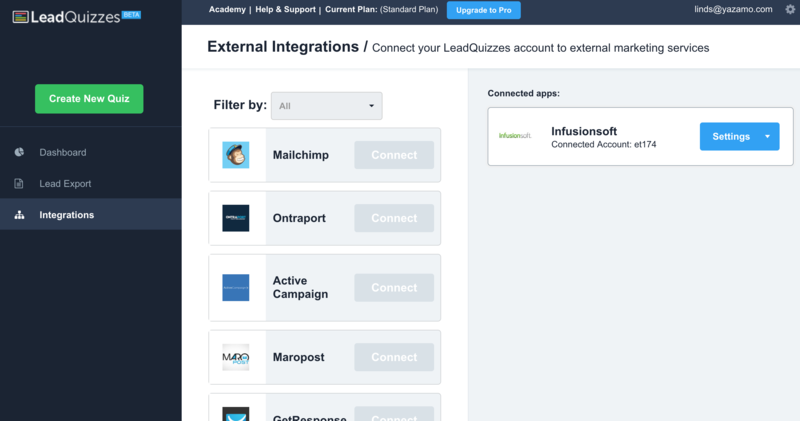 Connecting your LeadQuizzes account to your Infusionsoft account is vital to not only improving the engagement of your leads, but for segmenting them and sending content specific to their needs. Watch the video or follow these step by step instructions to connect your Infusionsoft account! 2. Select "Infusionsoft" from the list of options. 3. Enter in your Infusionsoft App Name and Infusionsoft API Key. How Can I Find My Infusionsoft App Name? 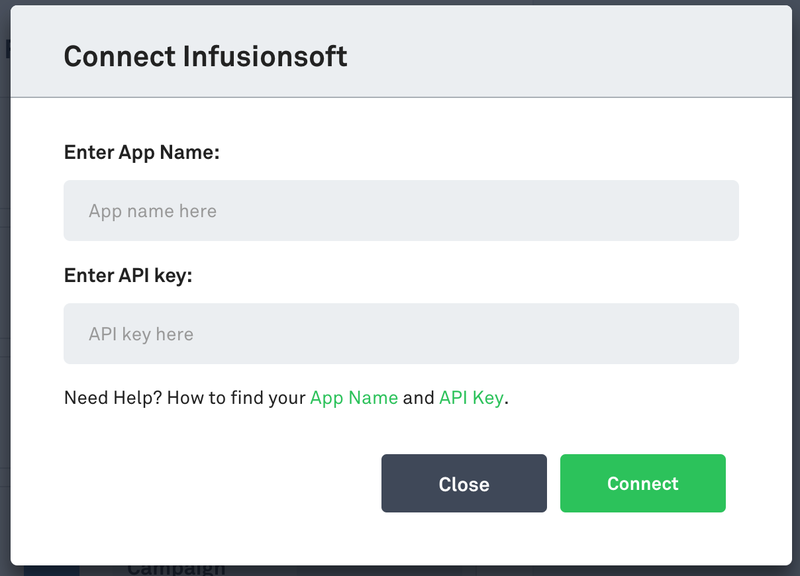 How Can I Find My Infusionsoft API Key? 1. Select the Admin Menu, and select Settings. 2. Select Application on the left hand side, then scroll down to the API section. The "Encrypted Key" that you see in this section will be the API key that you need to copy and paste into LeadQuizzes. If you do not have an API Key please follow the instructions below. Follow steps 1 and 2 above first. Enter in a passphrase in the text box that appears in the API section. The API Passphrase is simply a password, or series of words that will be used to generate your unique API key. Be sure to remember your passphrase if you ever need to generate your API key again. 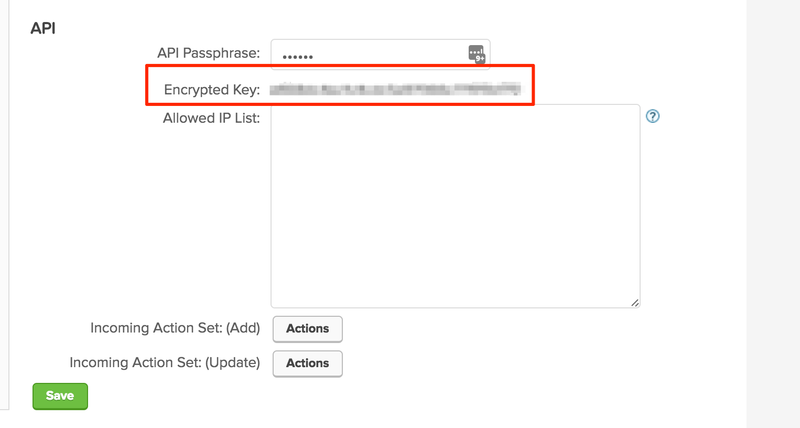 After you enter in a Passphrase, click on the Save button to generate your API Key. Your API Key will appear. Copy and paste this Encrypted Key into LeadQuizzes. How Can I Segment My Leads Using Infusionsoft? 1. 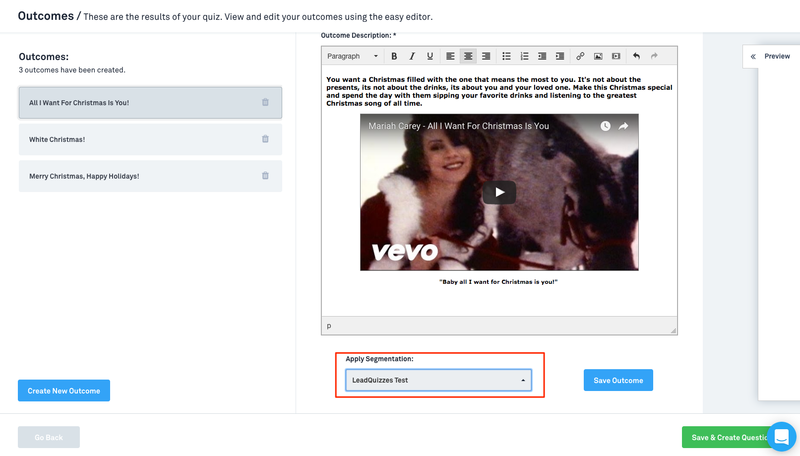 Connect your Infusionsoft account to LeadQuizzes. 3. On the Configure page of the quiz builder. Click on Integration and select Infusionsoft. 4. From the General Segmentation drop down select the tag that you would like applied to ALL quiz takers. 5. After you have completed the necessary fields on that form, click Save and Create Outcomes. 6. If you would like to further segment your leads based on outcome continue to the next step. If not finish creating your quiz and publish it so the changes will be saved and your leads will now be added automatically to your Infusionsoft account. 7. If you would like to segment based on outcomes received first create an outcome in the quiz builder. 8. Click on the created outcome from the list shown on the left hand side. 9. From the Apply Segmentation drop down, select the tag that you would like applied in Infusionsoft for that outcome. 10. Click Save Outcome and repeat for all outcomes you would like segmented. 11. 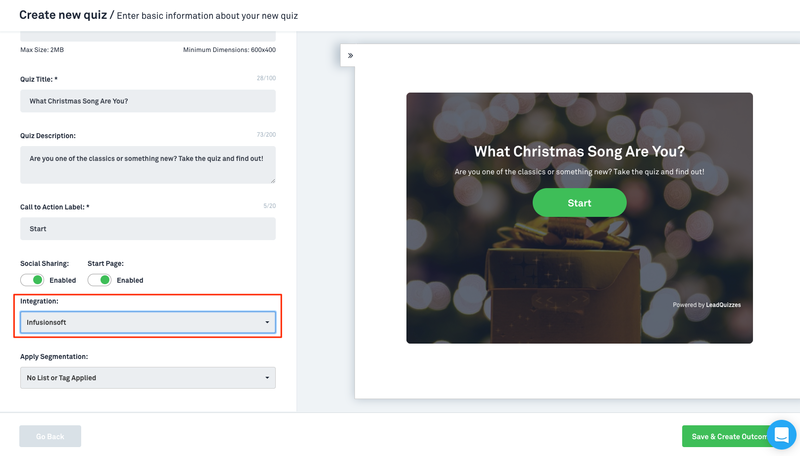 Finish creating your quiz and publish it so the changes will be saved and your leads will now be added automatically to your Infusionsoft account.